The Swiss bank plans a 2 bln Swiss franc share buyback, its first since the financial crisis, after a jump in annual pre-tax profits. UBS missed consensus forecasts. But regulatory sign-off means shareholders have greater clarity around its capital returns versus rivals. UBS on Jan. 22 announced operating income of 7.1 billion Swiss francs for the fourth quarter of 2017, a year-on-year increase of 1 percent. Pre-tax profit was 997 million Swiss francs, compared to 746 million Swiss francs in the same period of the previous year. The Swiss bank announced a 32 percent year-on-year increase in full year pre-tax profits to 5.4 billion Swiss francs on operating income that rose 3 percent year-on-year to 29 billion Swiss francs. The lender has proposed an annual dividend of 0.65 Swiss francs per share, an 8 percent rise on 2016. It also announced a 2 billion Swiss franc share buyback programme over the next three years, including up to 550 million Swiss francs in 2018. UBS said quarterly pre-tax profit at its cornerstone global wealth management division grew by 33 percent year-on-year to 488 million Swiss francs. The unit attracted 14.2 billion Swiss francs of net new money during the quarter, a measure that includes incoming client funds and outflows. That compared with 4.1 billion Swiss francs of net outflows in the same period last year. 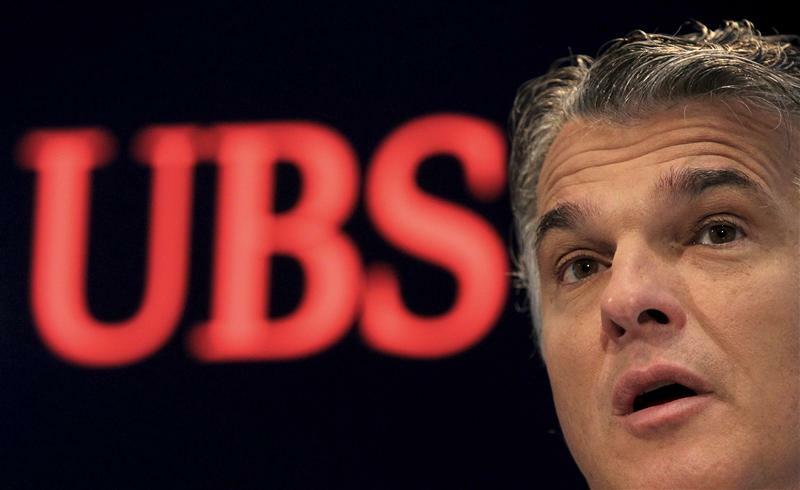 UBS earned a return on tangible equity of minus 19.2 percent for the quarter, against 5.6 percent in the fourth quarter of 2016, weighed down by a 2.9 billion Swiss franc writedown on the value of US tax credits thanks to changes in the US tax rate. The bank achieved a 2.7 percent annual return on tangible equity, compared to 6.9 percent in 2016. However, excluding one-off costs, annual ROTE rose to 14.1 percent. UBS shares were down 2.2 percent at 18.89 Swiss francs at 0926 GMT on Jan. 22.